FOURTEEN coastal centres will have better access to internet services when Huawei completes a national broadband transmission network in the country, a company representative says. 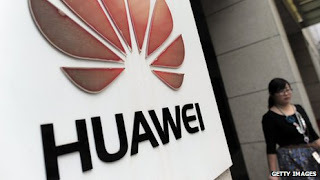 The Chinese company, according to Huawei Australia corporate affairs manager Geeke van der Sluis, would help PNG build the national broadband transmission network. The centres are Vanimo, Wewak, Madang, Lae, Popondetta, Alotau, Kerema, Daru, Kimbe, Kavieng, Kokopo, Lorengau, Arawa and Port Moresby. “According to our headquarters in China, the project will start deployment in the second quarter of this year,” he said. Huawei and PNG DataCo Limited, a telecommunication carrier established by the Government, will build the 5,457km cable network in 14 coastal centres. This will meet the increasing demand for internet connectivity. DataCo managing director Paul Komboi said new system was very important to PNG as it not only include a new submarine cable network but also provide internet gateways and data centres. “This will improve the whole information communication technology infrastructure in the country and greatly increase network coverage, capacity and the availability of internet and broadband services to end users,” he said. Komboi said DataCo was proud to contribute to the national broadband plan. “Our selection of the experienced team at Huawei Marine, following a tender process, will ensure a successful implementation and delivery of this system,” he said. Huawei Marine chief executive officer Mike Constable said for island nations, the submarine cable systems were required for the development of an affordable and effective ICT infrastructure. “We are proud to be partnering with DataCo to improve and expand telecommunication access in support of PNG’s social and economic development,” he said. The designed capacity of the system is 8 terabits per second, which will cater for an increased bandwidth demand in the next 10 to 15 years.